With GOOSE Business your employees are safe and GDPR-proof when online outside the office. All your online data activity, such as sending e-mails and leaving data on websites, is protected by encryption. Easily paste all e-mail addresses in the list and invite everyone at once. Installation of GOOSE is simple. The Internet connection of everyone is secured within 60 seconds. Do you still need help? Our team is ready for you. In May 2016, the GDPR (General Data Protection Regulation) came into force in Europe. Since 25 May 2018, the GDPR/AVG has been maintained by the overarching European privacy regulation. The purpose of this law is to guarantee the right to privacy. Organizations are responsible and legally obliged to take all possible measures to comply with this law, such as using protective software. With GOOSE you comply with the law because you are also protecting your company data from hacking outside the office. Because Internet crime is rising, it is not the question whether it will affect you, but when. 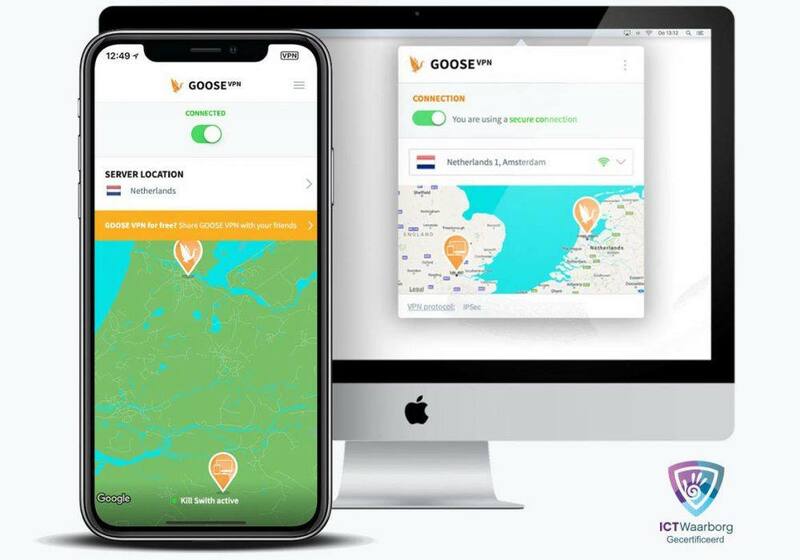 GOOSE helps to protect your data online when your employees work mobile. Prevent data leaks and high fines. With our VPN software you are assured that your company data is encrypted online. This prevents data leaks, reputational damage and high fines (up to € 20 million or 4% of the company turnover). As a GOOSE Business reseller, you can easily generate additional income. Not only is our product easy to use, making it simple to learn more about it, we also offer personal help through our customer support. "After a simple installation, the interface to GOOSE is remarkably easy to use."